LONDON -- Nissan said today that Austrian contract manufacturer Magna Steyr will build a new premium compact car for the automaker's Infiniti brand starting in 2014. Infiniti boss Andy Palmer said in a statement that the car will help the brand to reach new consumers and grow in key markets such as western Europe. Nissan did not give any more details about the car or say whether it will be sold in markets outside Europe such as the United States. But sources told Automotive News Europe last December that Nissan wants to roll out the entry-level car worldwide to help win a 10 percent share of the global luxury market. Infiniti executives have previously said the entry-level model will compete with premium compact cars such as the Audi A3 and Mercedes-Benz A class. The car is expected to be based on Mercedes's MFA compact platform that underpins the new A- and B-class cars. Renault-Nissan and Mercedes parent Daimler announced a strategic cooperation between the two companies in 2010. Daimler will supply numerous preassembled "complete parts" to Infiniti, sources told Automotive News Europe last December. 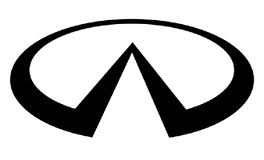 About 50,000 to 60,000 units a year of the Infiniti could be built in Graz, the sources said at the time. The cars will be exported globally and will offer Mercedes' four- and six-cylinder diesel and gasoline engines. By using Mercedes components, Infiniti avoids potentially huge development costs. In exchange, Mercedes receives licensing fees for each manufactured vehicle and benefits from economies of scale. Infiniti started selling cars in Europe in 2008 but has made slow progress against established German premium rivals and Toyota's Lexus. Last year Infiniti sold 3,681 cars in Europe, a rise of 54 percent on 2010, according to JATO Dynamics. Magna Steyr, the European unit of Canada's Magna International, has engineered the Infiniti compact and the car is expected to be built at the supplier's contract assembly operation in Graz, Austria, which builds the Peugeot RCZ coupe, Mini Countryman SUV and Aston Martin Rapide. Nissan and Magna are finalizing details of manufacturing and supply agreements, the two firms said in a joint statement. 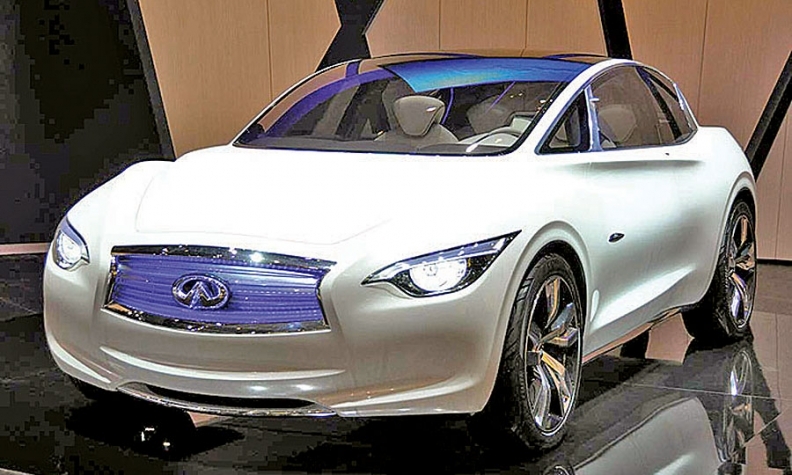 The Etherea concept previews Infiniti's new premium compact car. Infiniti's Etherea concept car offered an early look at the design of the model when it debuted at the 2011 Geneva auto show. Infiniti believes the production car will find a receptive market among young buyers in Europe. Company executives say the model will combine driving performance and an emphasis on style to compete with German luxury brands. Under a mid-term growth plan, Nissan is targeting sales of 500,000 Infinitis worldwide by 2016. Nissan sold about 146,000 globally, mostly in the United States, in the business year ended March 2011.